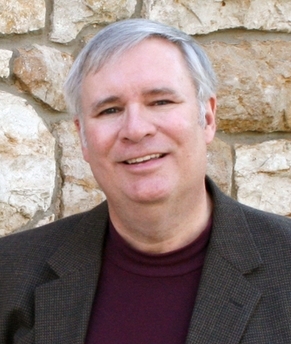 KU journalism professor David Guth. Topeka ? Kansas University on Friday placed journalism professor David Guth on administrative leave over comments critical of the NRA that he wrote on Twitter regarding the shooting this week at the Navy Yard in Washington, D.C.
Guth said his comments had been deliberately distorted and misunderstood, but top state legislators — Senate President Susan Wagle, R-Wichita, and Senate Majority Leader Terry Bruce, R-Hutchinson — called for Guth’s dismissal from KU. “Any attempt to continue employing this individual as an educational leader is offensive to taxpayers,” Wagle said. The incident also left some wondering if KU, whose relationship with conservative Republican legislators is already strained, would suffer further. Republican leaders cut $34.3 million in state funds to universities last session and will conduct information-gathering meetings on campuses next month to prepare for next year’s budget discussions. The dispute was over a message by Guth on the social media site Twitter, and it exploded across the Internet. KU officials strongly criticized the comment and Chancellor Bernadette Gray-Little announced that KU had put Guth on paid leave and would conduct a review of the situation. “In order to prevent disruptions to the learning environment for students, the School of Journalism and the university, I have directed Provost Jeffrey Vitter to place Associate Professor Guth on indefinite administrative leave pending a review of the entire situation. Professor Guth’s classes will be taught by other faculty members,” Gray-Little said. Guth, in an interview on Thursday, said, “I did not advocate violence against anybody.” He said he was, instead, trying to make gun advocates see shootings like the one at Navy Yard from the point of view of the victims and their families. “I was getting tired of hearing comments in the media and Twitter that, ‘Gee, this wouldn’t have happened if the office staff at the Navy Yard had been armed,'” he said. Senate Majority Leader Bruce said he was appalled by Guth’s tweet. Stoneking said that while the KSRA believes in First Amendment rights of free speech, Guth was inciting violence. “Is this who you want teaching your children? I certainly do not want him teaching mine,” she said. The Kansas Board of Regents held a hastily called closed session on the comments made by Guth. The board said KU was keeping it informed on the situation and expressed its appreciation to Gray-Little for responding to the controversy. State Sen. Marci Francisco, D-Lawrence, said KU acted appropriately by placing Guth on leave while officials investigate the situation further. Francisco said Guth’s tweet probably would hurt KU in its relationship with some legislators. “Unfortunately, I think when people are already critical they take new information in through that filter,” she said. Senate Majority Leader Bruce said the dispute with Guth should not impact higher education budget decisions. “I want this (Guth) to be treated as its own situation, not an extension of any sort of public funding issue that took place last session,” he said. But Smith said if KU doesn’t dismiss Guth then it is saying it supports Guth’s position. “The University of Kansas receives tax money from the state of Kansas. I do not condone using tax money to urge others to take violent action,” he said.